A few months ago Restauranteur & Chef Pino Luongo opened up a new restaurant with Chef Tim Ryan featuring modern, Italian cuisine. This week, they invited me to dinner to try a sampling of the bites they have to offer. As I walked down 59th towards Morso, I couldn't help but notice what a romantic backdrop the Queensborough Bridge made across the way. In April, they will start having outdoor dining- but tonight it was chilly, so I was happy to duck in to the festively decorated, warm and welcoming restaurant. The restaurant is elegant without feeling stuffy. 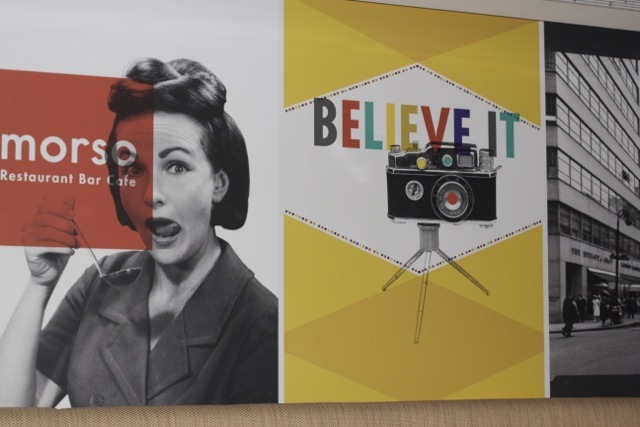 The mod-style graphic designs adorning the walls are fresh, modern and playful which sets the mood perfectly for the evening's meal. So without further ado- let's get to the food! 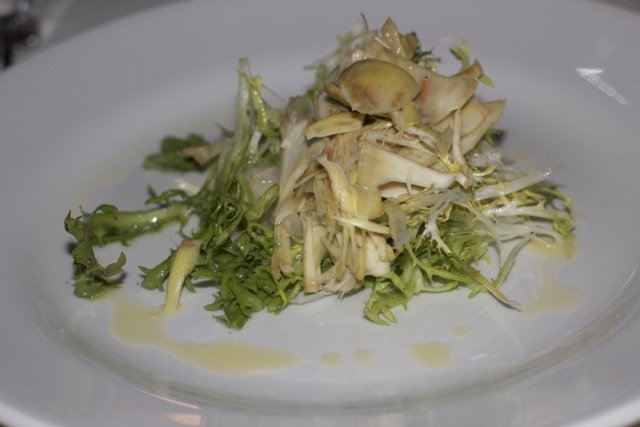 We started with raw artichoke salad with shaved celery, pear, frisee & lemon dressing. A wonderfully light and refreshing way to start the meal. 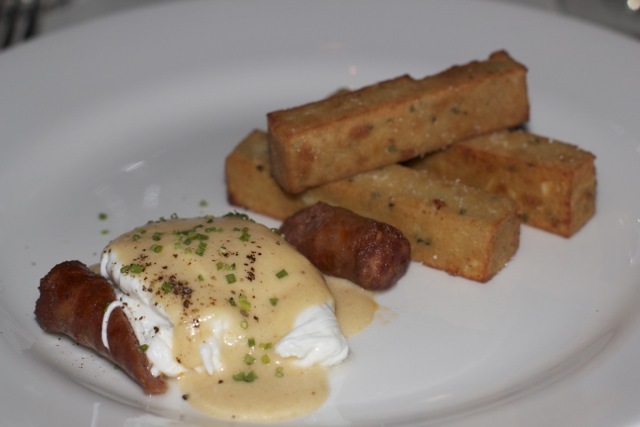 Things got much heavier very quickly with poached egg over lamb sausage with fontina cheese sauce and chick pea fries. The combination of the delightfully seasoned sausage with egg and cheese sauce was incredible, but the chick pea fries really stole the show. Salty, dense and unlike anything I've ever eaten, this is what I would bring The Mr. back for. These are available as a side on the regular menu, so be sure to get an order for the table. Now it was time for my favorite course of an Italian meal- the pasta! 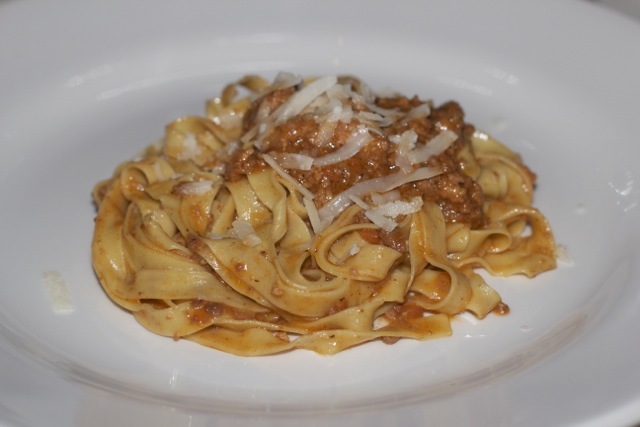 A simple fettuccine with bolognese course, which was surprisingly light. The noodles themselves were thin and tender, obviously freshly made, but the real surprise was the bolognese. It was a traditional bolognese sauce, but without the usual heaviness. It was so refreshing to move on to the Main Course without already feeling stuffed by the pasta course. I was excited to try the first plate of the main course: Sardines with tomatoes, fennel, artichokes and sun dried tomato pesto. I've never had freshly cooked sardines before, so was very curious about them. While they aren't nearly as salty and fishy as their canned counterparts, they are still far down on the fishy end of the spectrum. 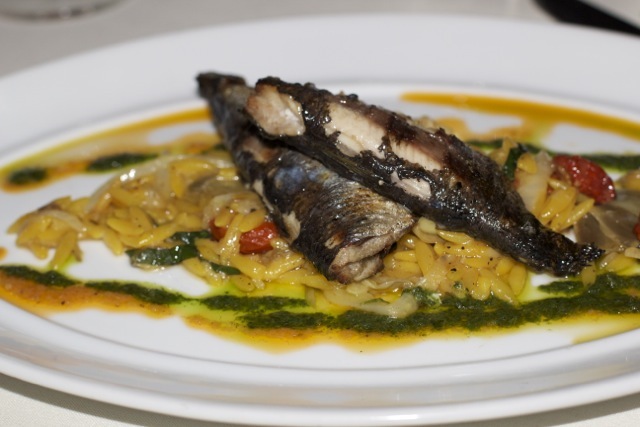 The orzo was fantastic, but I learned that I'm not crazy about sardines after all. However, some of my co-diners were sardine lovers and raved about this dish. 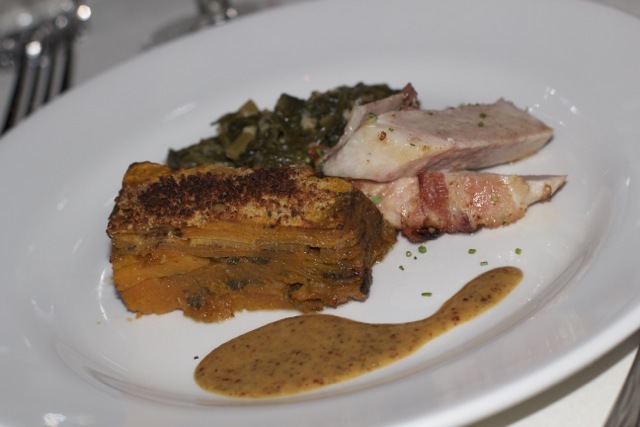 Plate 2 of the Main was roasted pork chop, butternut squash gratin, spatzle, and winter greens with apple-sage sauce. It tasted like a fancy Thanksgiving Dinner condensed into one reasonably portioned plate. This dish will bring you both comfort and joy and overall really get you into The Holiday Spirit. And of course, just when I don't think I can eat another bite, this amazing Neapolitan cheesecake appears in front of me. I think "OK, that's fine, I can handle this, I'll just have a bite or two to taste it". Ha. It was like air in my mouth. Light, fluffy, not overly sweet. 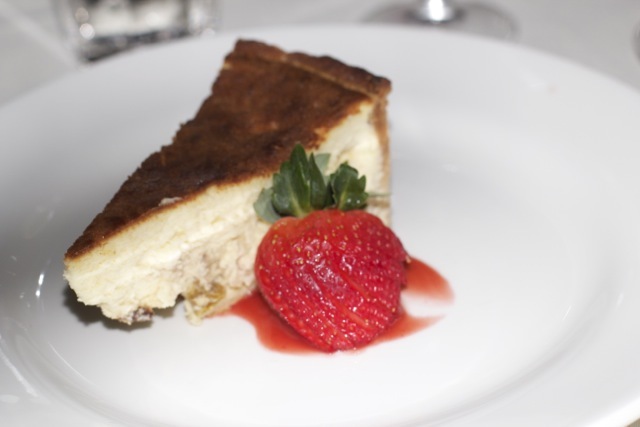 This my friends, is the Angelfood Cheesecake. Next thing you know, I was scraping my plate clean. I enjoyed every last bite at Morso and recommend it heartily. If you find yourself on the East side of Manhattan, make your way over. And don't worry, you won't have to leave as completely stuffed as I did- all of their dishes come in two sizes Tutto (Large) and Morso (Small)! *My meal was provided by the restaurant as part of a Press Dinner.